Have you been getting some strange looks from the neighbors and the people at work lately? While you may not think anything about you is odd or different, there is something that you have been overlooking for a while now that needs your attention. It finally dawns on you when you walk out to your car one bright, sunny morning and take a look at your trusted vehicle. There seems to be quite a thick layer of dirt and grime coating your car, so much so that you may not even be able to recognize your car. You may have actually let this go on too long for a change. Here are a few signs to check for so you know it is time for you to break down and wash your car. • You Forget the Color – If you have been driving around a dirty and grimy car for weeks or maybe even months, you may have completely forgotten just what color your car is. It might be some type of dark color, but it is tough to tell through all of the layers of dirt. It might be more noticeable to you if your car’s natural color is white or something light, but if you already have a dark color like brown, you might be able to go six months before you notice the problem. 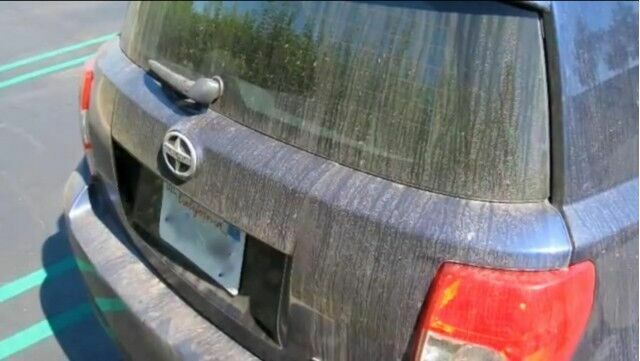 • The Car Makes You Dirty – It might be time to get the car washed if you need to be careful getting in and out of the car so you do not get any dirt on you. This can be tricky if you have to wear a suit to work each morning, making you wear gloves to open the door and not slam the doors too much so that dirt shakes off and plumes of dirt envelop you along the way. • The Dreaded Note – You have likely seen it plenty of times before on other cars and trucks along the way, but now it has finally happened to you. 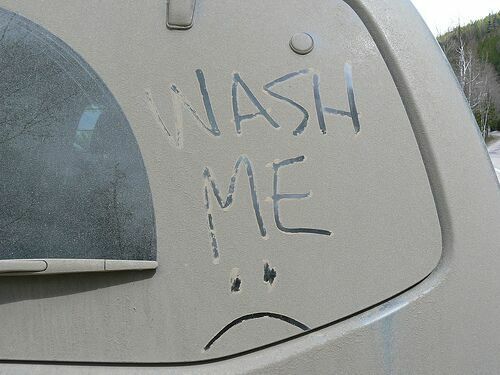 It could be from neighborhood kids, people at work or maybe even your spouse, but there it is on the window or side of the car – the note written by a single finger in the layers of dirt on your car that says “Wash Me.” If the dirt is thick enough where this is possible, you are well passed the time to wash your car. If you have been trying to be a responsible citizen and conserve water in the drought conditions by not washing your car, then kudos to you for your efforts. 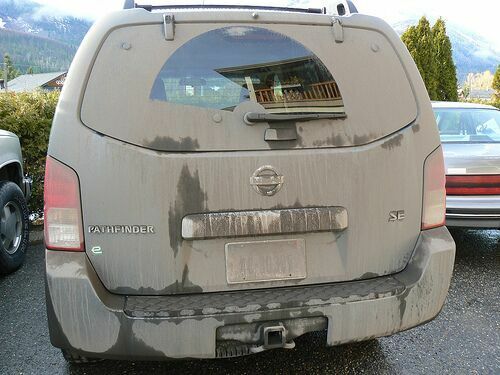 Unfortunately, at some point the dirt will become so much that you will not be able to see out the windows and you will at least need to take some type of cleaner to the car itself and wash it down. You can always take it over to the car wash as well if you do not want to wash the car yourself. AS a final option, instead of washing it, take the time to head over to the Chevy dealer in Rancho Cucamonga and simply trade your car in for a nice clean one. You can find just the car you want at http://www.mtvchevy.com that looks sparkling new and clean and will look perfect in your driveway (at least for a little while).